He says Russia seeks to discredit Ukraine in the eyes of the Ecumenical Patriarch and the world. 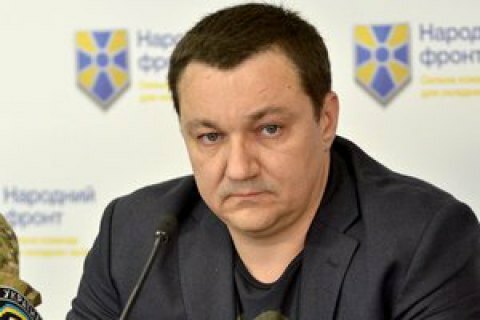 The Russian special services are planning various acts of provocation in Ukraine and in Istanbul when a delegation of the Russian Orthodox Church comes on a visit to Fener on 31 August, Ukrainian MP Dmytro Tymchuk has said on Facebook. "According to our sources, the Russian FSB has initiated and formed several groups of 'Ukrainian pilgrims'. These groups are to arrive in Istanbul and, under the supervision of local agents of the Russian External Intelligence Service in Turkey, to carry out acts of provocation against the delegation of the Russian Orthodox Church during its arrival and stay in Fener, including by means of violence, under the guise of 'patriotically and radically-minded citizens of Ukraine with corresponding characteristics," he said. Later, according to the plan, after local law enforcers detain "Ukrainian patriots and radicals", they are to say on camera that they "arrived in Turkey on the instructions from the Ukrainian special services, and the matter was being coordinated directly by Petro Poroshenko's administration". - to form a certain image and strengthen the position of the Russian Orthodox Church delegation on the eve of its meeting with the Ecumenical Patriarch to the tune that "the Ukrainian government and radicals not only persecute and intimidate representatives of the Moscow Patriarchate on the territory of Ukraine but also cynically dare to do the same in the Holy of Holies". On 31 August, the head of the Russian Orthodox Church, Kirill (Gundyaev), will visit Istanbul to meet Patriarch of Constantinople Bartholomew and discuss "issues of mutual interest". On 1-3 September, Istanbul will host Synaxis, a congress of all the bishops of the Constantinople Orthodox Church headed by Patriarch Bartholomew. Before that, Ecumenical Patriarch Bartholomew will have a meeting with the head of the Russian Orthodox Church. The Synod, which will discuss the Ukrainian issue, was postponed from September to October.